2. 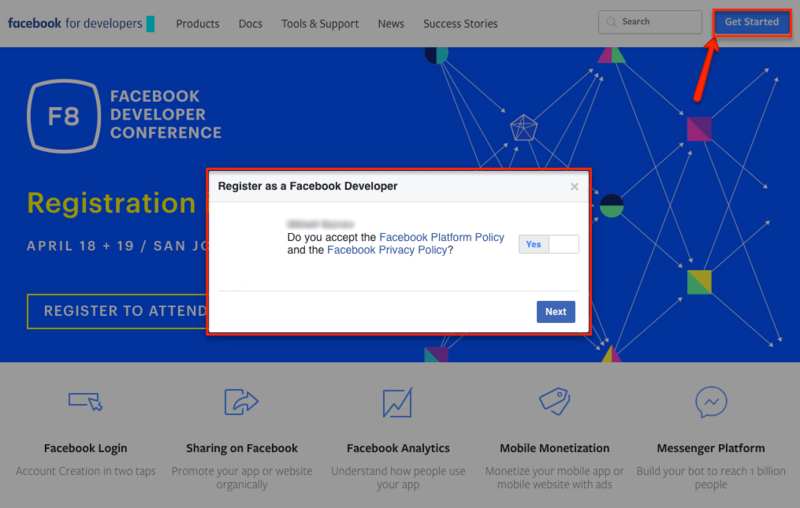 Navigate to Facebook Developers page. Select your country, insert your phone number and confirm it and click on the [Done] button. 4. Use the top right [My Apps] menu to start creating Facebook App. Click on the [Add New App] sub-menu. 5. Fill the Application name (you can enter website name) and contact email and click on [Create App ID] button. 6. Once App is created, you’ll be redirected to the App “Add a Product” dashboard. Find the “Facebook Login” box and click on [Set Up] button. 7. Choose the Web option (www circle). 9. 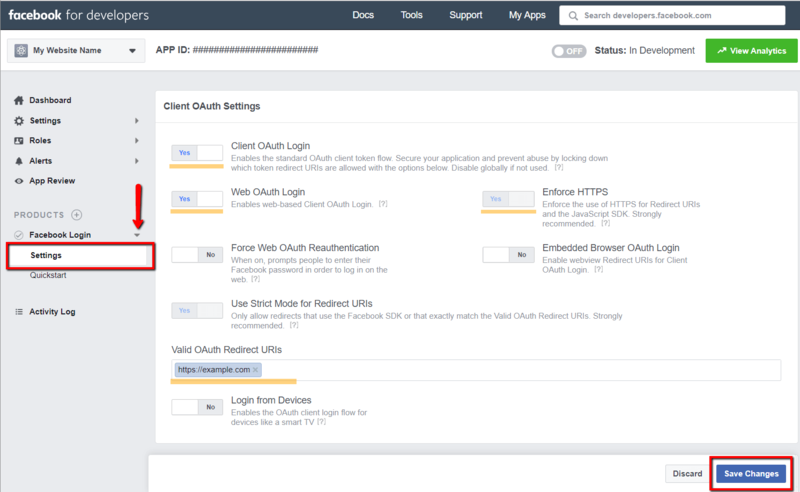 Using the left sidebar, navigate to Facebook Login > Settings page. Make sure “Client OAuth Login”, “Web OAuth Login” and “Enforce HTTPS” are set Yes. Then insert your website address in “Valid OAuth Redirect URIs” field and click on [Save Changes] button. Note: Please note that Facebook Applications are not available for http:// websites, those are only available for https:// secure websites. 11. Turn ON the Facebook app Status button. 12. 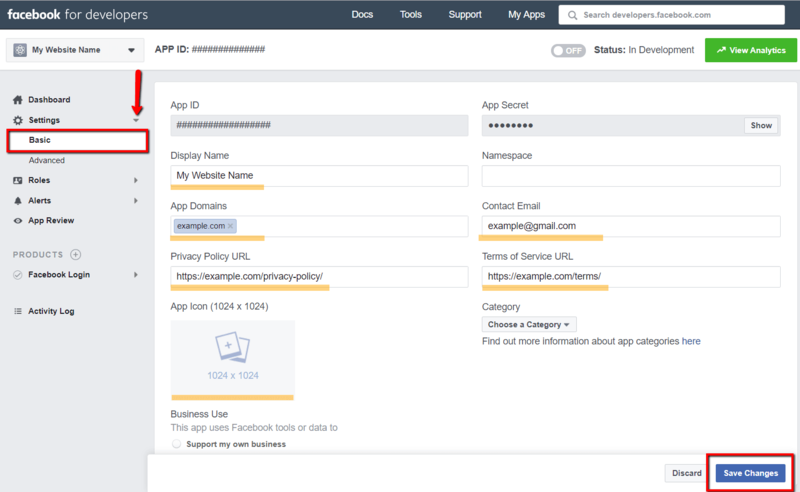 Copy Facebook Application Key and Secret and paste in according fields of the Facebook Section in Dashboard > Comments > Settings > Social Login/Share admin page.